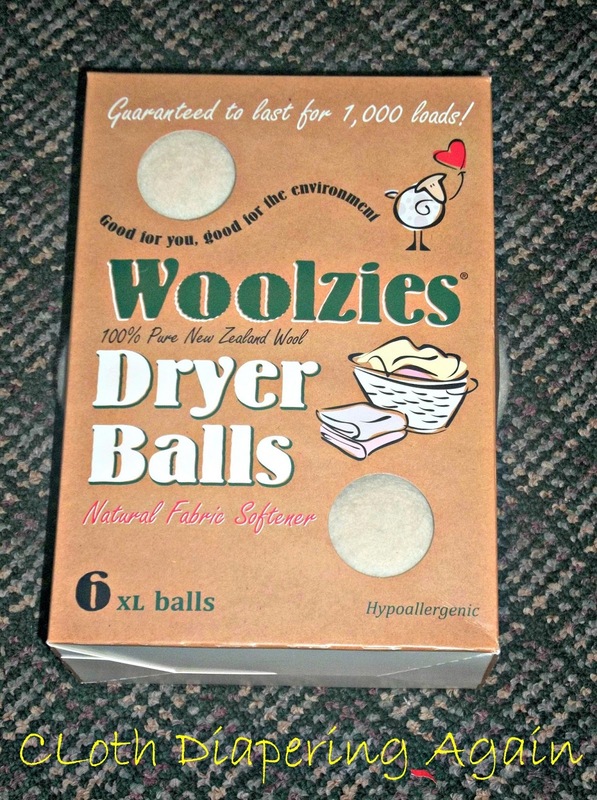 You are here: Home / Reviews / Woolzies Dryer Ball Review and Giveaway! Yay! A giveaway! I know y’all love those. 😉 Read my review first though. Since I started cloth diapering, I have been looking for an alternative to dryer sheets for my regular laundry. I thought about trying those plastic dryer balls, but, well, they’re plastic. 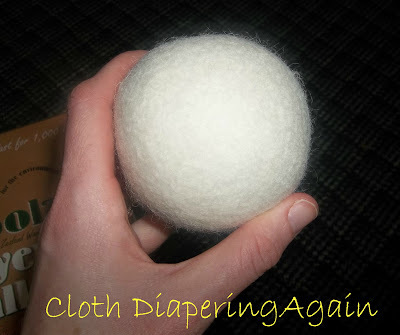 Then I heard about wool dryer balls. I thought, Interesting. Now, most of them do cost a pretty penny (anywhere from six to nine dollars a ball and you need about six, depending on the ball size). 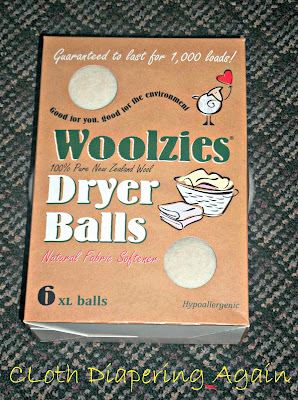 Woolzies sent me a package of their dryer balls to review. They sell a whole set of six balls for $34.95 plus shipping (if you want to purchase, click here to go to their website). They’re one of the most inexpensive ones I have seen. 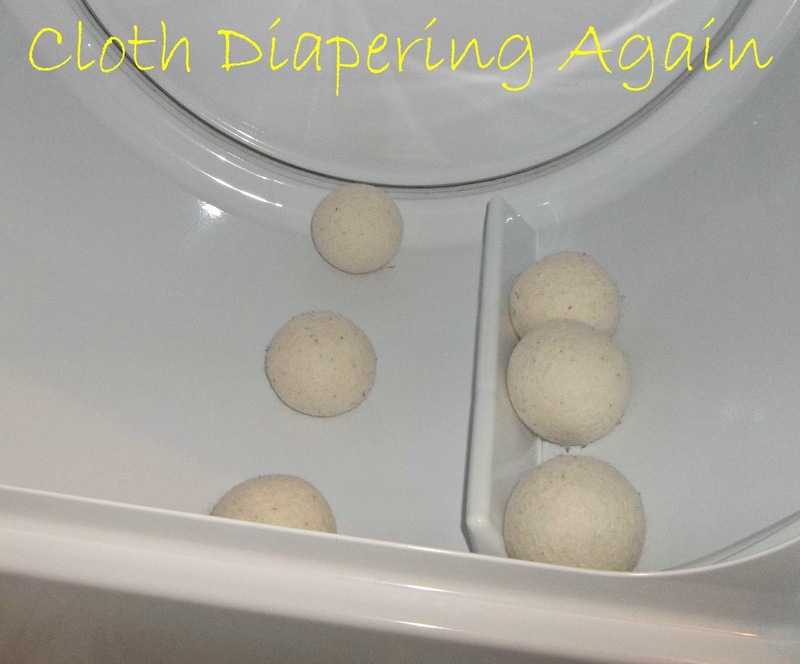 Now these are the first dryer balls that I have ever tried, and I have to admit, I was very skeptical about how well they’d work. You know, there are all these claims that they’ll help shorten your drying time and soften your clothes. Now I know those claims are true! Yeah, I was surprised. For some things, like my fluffy robe and blanket, there was static, but I just shook it out. Woolzie’s does NOT claim to remove all the static. Since I’ve never used dryer balls before, I didn’t know how big the balls would be. They’re a pretty decent size. Six definitely works to get the job done on large loads or even a comforter. They’re a nice natural color. They do pick up some lint. Considering that I’m using these in the dryer, that really doesn’t matter and should be expected. The noise level depends on how large of a load you’re drying. Larger loads tend to be quieter. But small loads really aren’t very loud. I’ll leave the laundry room door open and it doesn’t really bother me. I do admit that I’m not used to it yet, so sometimes I’ll look around wondering what that noise is. lol I just leave the balls in my dryer. Sometimes they do get lost in the laundry, which surprised me the first time that it happened because these are pretty big balls. But they’re pretty easy to find, just start shaking your laundry out. 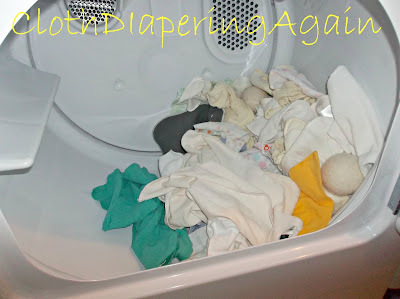 There’s my wool dryer balls mixed in with my cloth diapers. 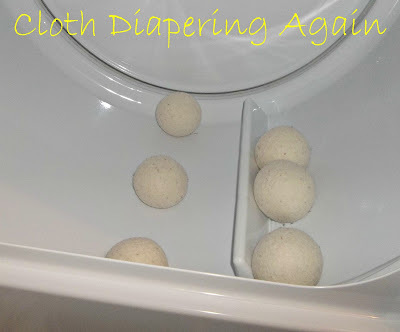 I admit it, I am loving my dryer balls. They should last me a long time. I am so not going to be buying fabric softener sheets or liquid ever again. Who needs them when you’ve got wool balls to do it for you? I love my Woolzies dryer balls! They hold up better than any of my other dryer balls do.